In the days of digital conflict, communications, global positioning and data sharing are key to ensuring situational awareness, operational security and success. 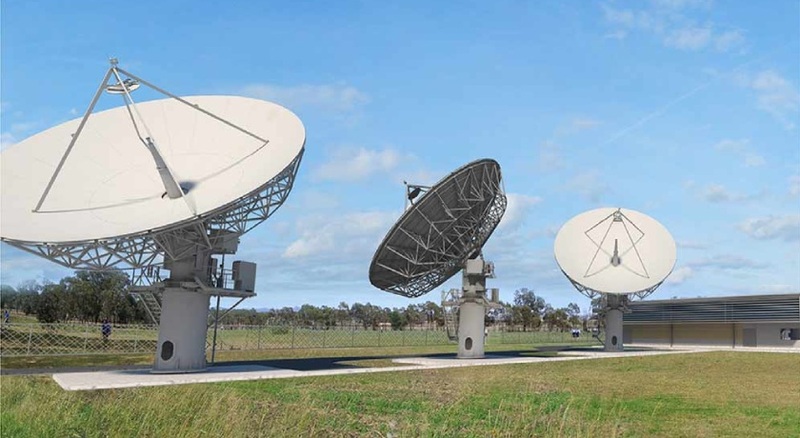 The Joint Project 2008 Phase 5B2 Satellite Ground Station – East Facilities (SGS-E) Project aims to provide improved communications for the ADF. The aim of SGS-E is to anchor wideband global satellites (WGS) visible from the east coast of Australia. Subject to parliamentary approval, it is proposed that a new facility be constructed within the Kapooka Military Area (KMA) near Wagga Wagga, NSW. Work Element 3: Base utilities, services and roads connection to SGS-E. Supporting infrastructure: Including security fencing for the new SGS-E compound; installation of backup generators and fuel storage; vehicle access roads and parking; and water storage tanks to support fire fighting and on-site water requirements. The SGS-E proposal is a major Defence beyond-line-of-sight communications capability and has a requirement to integrate with the Australian Defence Force communication networks. The DTCN provides the terrestrial communications connectivity needed by SGS-E to extend the Defence strategic networks to deployed ADF assets in support of operations. The DTCN at Wagga is currently being upgraded under the JP 2047 - Terrestrial Communications Project for existing Defence needs. Under this element, it is proposed to utilise the JP 2047 contractor to undertake the proposed DTCN connectivity works. This involves off-base pit and pipe installation, fibre optic cabling in the pit and pipe infrastructure to connect SGS-E to off-base telephone exchanges. Under this works element, it is proposed to connect the SGS-E site to base water, electricity, fire monitoring, security monitoring and building management services. This work element also includes sealing of the site access road and stormwater upgrade works. It is anticipated following the parliamentary committee review that the estimated cost of the project is $33.9 million, the cost estimate includes the construction costs, professional service fees, management fees, contingencies and escalation. Northrop Grumman will act as the primary contractor responsible for the acquisition, construction and support of the facilities at KMA. JP 2008 is a large, multi-phase project to deploy an integrated wideband SATCOM system for the ADF. Northrop Grumman and its project partners ViaSat and Optus will provide a network management capability aligned with and functionally similar to the one developed for the US that successfully manages and monitors the WGS system. ViaSat will incorporate its dual-band satellite terminal with Optus providing its extensive Australian operating experience.